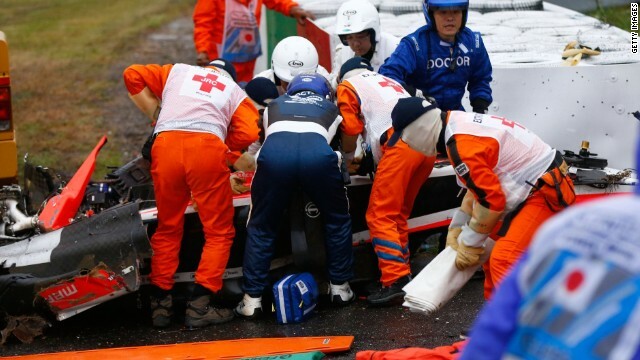 (CNN) -- Marussia driver Jules Bianchi underwent emergency surgery for a "severe head injury" after crashing in the closing stages of Sunday's Japanese Grand Prix. 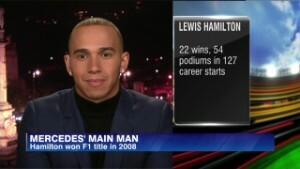 Lewis Hamilton won the typhoon-hit race to extend his title lead over second-placed Mercedes teammate Nico Rosberg, but his victory was totally overshadowed by the accident to 25-year-old Frenchman Bianchi. With nine laps of the scheduled 53 remaining, the race was under a red flag after Adrian Sutil of Sauber crashed at turn eight of the Suzuka circuit. As Sutil's car was being recovered, Bianchi's Marussia careered off at the same place, plowing into the truck which was being used to remove Sutil's car. Medical staff rushed to Bianchi's aid and he was taken to the nearby Mie Prefectural General Medical Center by ambulance. Motorsport's governing body, the FIA, later released a statement with an update on his condition. "The CT scan shows that he has suffered a severe head injury and is currently undergoing surgery," read the statement. "Following this he will be moved to intensive care where he will be monitored." Makoto Sakaeda, the official in charge of communication at the hospital, told CNN that the operation was complete and that Bianchi remained at the facility. 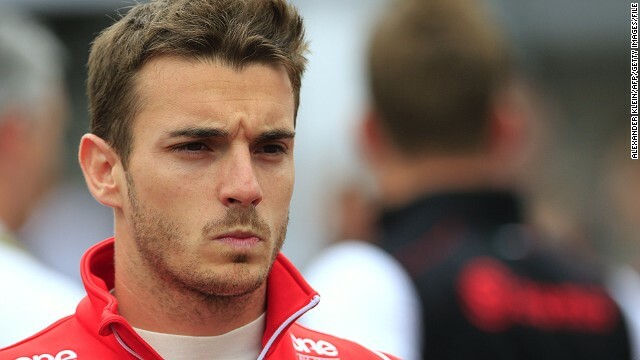 Jules Bianchi is regarded as one of Formula One's most promising young drivers. The Marussia driver receives urgent medical treatment after crashing during the Japanese Grand Prix at Suzuka. The crash occured in the later stages of the race at Suzuka as Bianchi ploughed into a recovery truck. 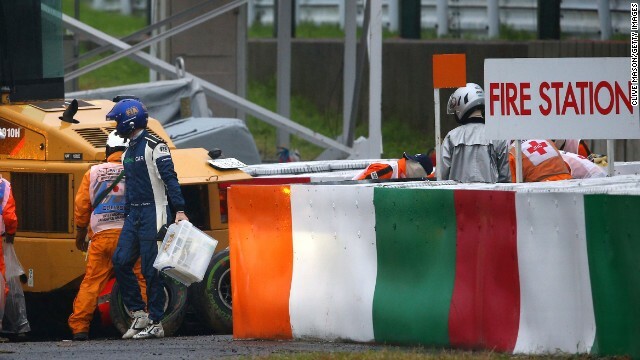 A visibly distressed Adrian Sutil witnessed the crash involving Bianchi as his own car was being cleared off the circuit. The mood on the victory podium is subdued with Lewis Hamilton taking the win from teammate Nico Rosberg with Sebastian Vettel in third. Read: Vettel set to join Ferrari? Departing Sebastian Vettel got the better of Red Bull teammate Daniel Ricciardo in their own private battle for the final place on the podium. But at the presentations all the drivers' thoughts were with Bianchi and the traditional champagne-spraying celebration did not take place. 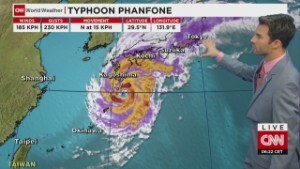 Typhoon Phanfone, which is sweeping across Japan, had led to fears the race might have to be abandoned and it started in heavy rain and behind the safety car. 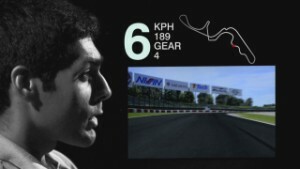 After just two laps it was suspended after drivers complained of the severely restricted visibility. 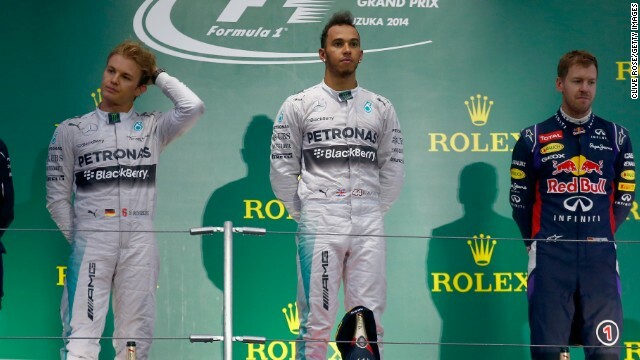 When it restarted, it developed into a duel between pole sitter Rosberg and Hamilton. On lap 29, a bold overtaking move by Hamilton saw him take a lead he never relinquished. As the race neared its finish and in fading light conditions worsened, with Germany's Sutil aquaplaning across the track before going into the barriers. 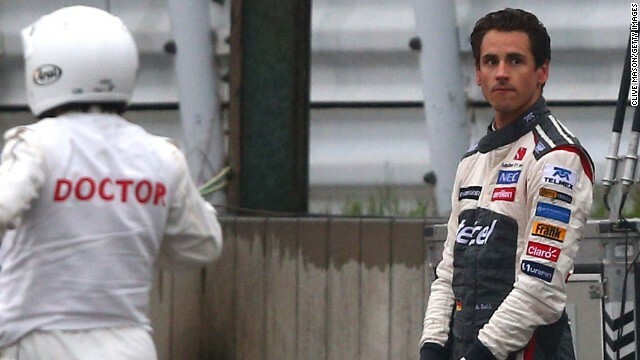 Sutil was out of his car when he witnessed Bianchi's crash. "I had a spin and ended up in the wall," he said. "I stood up and they tried to rescue the car. Jules was in the same area and lost the car. I have no more information. We are all aware of the situation. Hopefully he is in good hands," AFP reported. Rosberg summed up the mood of the paddock as he spoke at the podium presentation. "I'm not thinking about the race -- I'm thinking about my colleague. I'm hoping for the best," said the German. The 25-year Bianchi, from Nice, is rated one of the most promising young drivers on the circuit, giving minnows Marussia its first points with a brilliant ninth place in the Monaco Grand Prix earlier this year. CNN's Yoko Wakatsuki and Euan McKirdy contributed to this report.